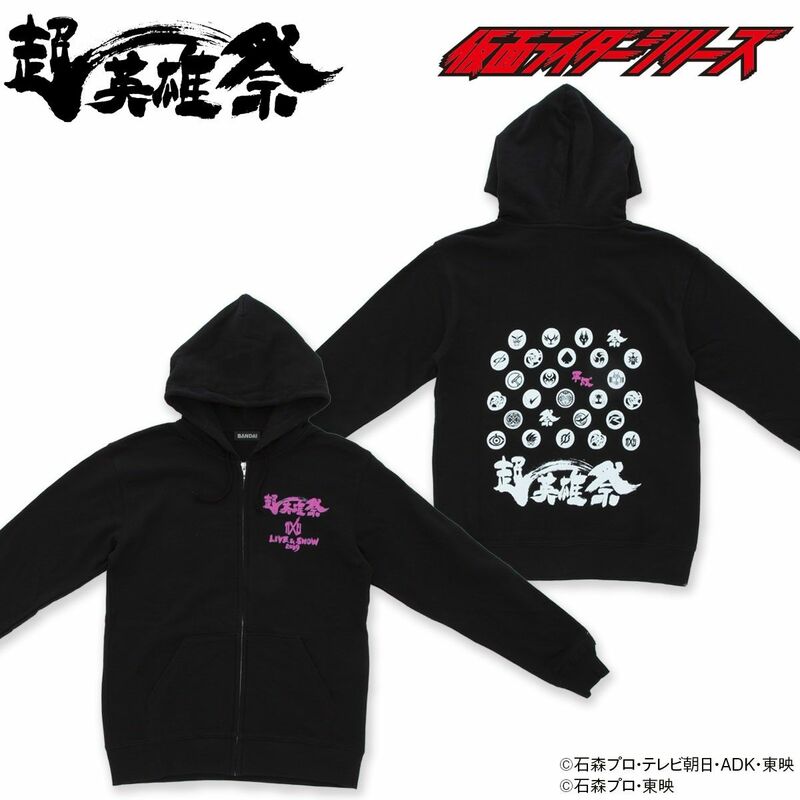 The "Super Hero Festival KAMEN RIDER × SUPER SENTAI LIVE & SHOW 2019" products are now on sale in PREMIUM BANDAI. ※This item is sold during the Super Hero Festival(opened on January 23, 2019, Nippon Budokan). Limited stock since the goods are just made for special event. Hurry while stocks last. To celebrate the birth of the 20th Heisei Kamen Rider, KAMEN RIDER symbols from the Kamen Rider Kuuga to the Kamen Rider ZI-O totally 20 symbols are printed on. The "Super Hero Festival(超英雄祭)" LOGO is designed by Calligrapher Mr.YUUSI KOU.